Discussion in 'Auto News' started by Leicht, Oct 17, 2017. That profile made me think immediately of this. kjb, Danoff, Dylan and 3 others like this. Dang, I love this car already and I haven't even seen a running version yet. This is the greatest modern Volvo ever made, a 600HP luxury cruiser that's also a sports car. Expected more drama in the styling rather than something that looks like a coupe version of the S90 sedan. Only interesting thing is the hybrid powertrain. ...it looks like 100 to America, 100 to Europe, and 300 to China. 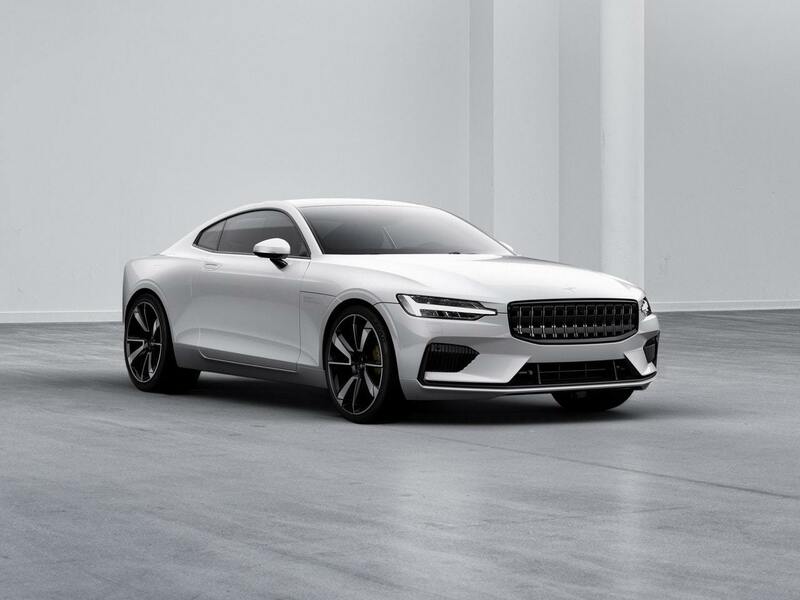 There’s only six countries that will get the Polestar 1: China, the United States, Sweden, Norway, Germany, and the Netherlands. There’s no plans for a right-hand-drive version. The badge reminds me slightly of the Citroen DS badge. It's a good looking car but the front quarter you would be forgiven for thinking it was an Audi. The quintessentially Volvo rear is cool though. I'm really not fond of their current styling, where in this case it's just ultra bland. It looks like an American car. kjb, girabyt3, wallpaper42 and 2 others like this. I'm sure the design approach will have its fans, but for a 600hp car I think this looks really boring. kjb and VXR like this. I really like it, very understated. On a sidenote, does anyone else see some P1800 lines looking at it from sideview? Yeah, the Jalopnik article mentioned it too. The rear crease curves down at the door handle. It looks so good. It's not boring in the slightest, it's a pure Swedish design to me; clean, flowing, and elegant. It has so much more class than the overstyled Audi RS-range, or the AMG-range, which almost look like kitcars with their gaping air vents. It's a good looking car but the front quarter you would be forgiven for thinking it was an Audi. I see it in the rear quarter area as well, particularly the (R)S5. Its got that roundness to it in the way the fender blisters out. Although it does have a similar almost fastback-like roofline to it that the S550 Mustang that @Carbon_6 mentioned. Its a bit of a mix of the two at the back. It's not really clean Swedish design, though. The lower air dam is similar to ones seen on other European cars such as the Opel Cascade, whilst the grille is totally unidentifiable as a Volvo. It's not Volvo's Polestar 1. It's Polestar's 1. I know. Some people might not know it is Volvo's electric performance division. It's not. It's a standalone brand now. Alot news articles are referring to it as as Volvo's Polestar 1 and also as Vovlo's performance brand. Alot news articles are referring to it as as Volvo's Polestar P1 and also as Vovlo's performance brand. Those that do are wrong. There is still a working relationship between Polestar and Volvo - the fact that the "1" looks so much like an S90 is a bit of a giveaway - and Polestar will still provide tuning parts for Volvos, but Polestar is now a standalone brand. It is its own company, with its own CEO (Thomas Ingenlath), separate from Volvo, but - like Volvo - part of the Geely family. Don't think of Polestar as Volvo's AMG. Think of it as Volvo's Infiniti, or Lexus. This car is the first car from the Polestar brand. It is the Polestar 1. This article was published by Joe Donaldson (@Joey D) on October 19th, 2017 in the Automotive News category. In a world full of overstated designs, sharp edges and radical creases, I find this very refreshing. I'm a huge fan of Volvo's recent styling (S/V90 and XC60/90) and this brings things to a whole new level. This will be a big contender along with the Porsche Pass for me. It looks way to similar to the new Mustangs. Like somebody could have told me that it was a new version of the Mustang and I would have believed them. Who change the topic thread? All I see are panel gaps. Very beautiful car. I would love to get my hands on one someday, but I'm sure it will be out my affordable cost range.